These really take no time at all. It takes around 30 minutes to make-ahead a meal -- that's one episode of a TV show. And you could even make the meal while you're watching it. Need more incentives? Not only will your homemade lunches be healthier, but you'll save $60 a week (if you spend $12 for lunch). That's nearly $3,000 a year which you could be spending on a holiday or that high-end item that's been on your wishlist for ages. Keen to give make-ahead lunches a go? 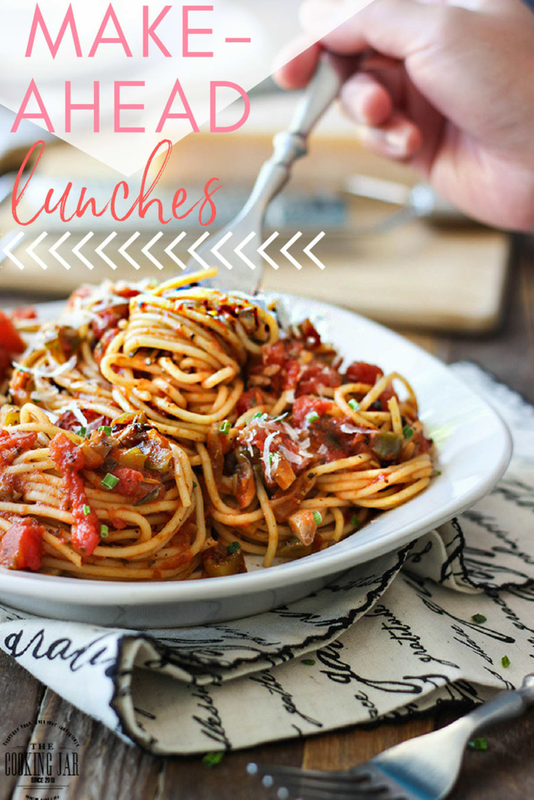 Try these seven lunch recipes which are super easy to make, healthy and tasty. Pasta is the ultimate quick and easy meal. To make this rich tomato and veggie pasta sauce with herbs, all you need to do is throw all the ingredients in a pot, let it simmer for half an hour (the perfect time for a shower or an ep of Dear White People) and portion out with some wholemeal spaghetti. Buddha bowls are one of the most satisfying, versatile lunch meals you can make. 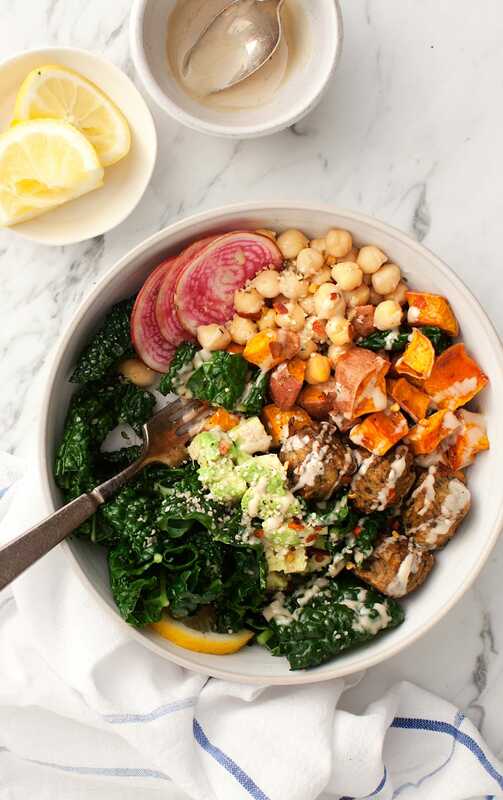 This lunch bowl is as easy as roasting some sweet potato and adding chickpeas, kale, avocado, tahini dressing and ready-made falafels. 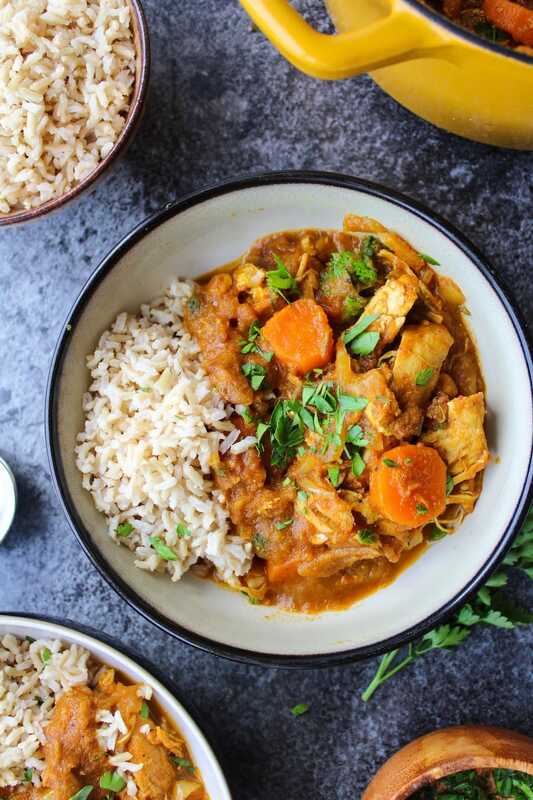 This beautiful flavour-packed stew is all about Moroccan spiced veggies and shredded chicken, with a touch of sweetness from caramely medjool dates. Simply place the ingredients in the pot, let it simmer until perfect and serve into containers with rice. 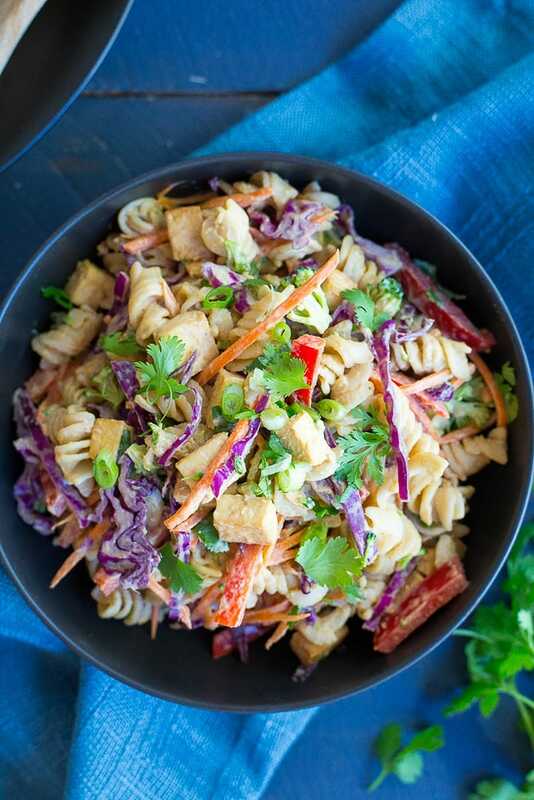 For an Asian inspired lunch, try this pasta salad packed with purple cabbage, capsicum, broccoli, carrots and tofu. The pasta salad is then tossed in a peanut butter dressing with ginger, soy sauce and garlic. So quick and delicious. 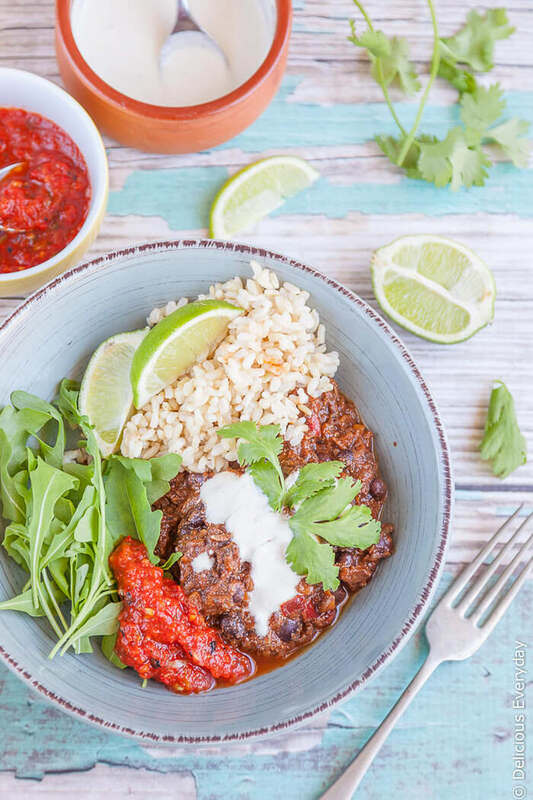 Warm up at lunch with this hearty mushroom and black bean chilli con carne, which tastes even better once the spices and flavours have mingled and developed overnight. Serve with brown rice, your favourite salsa and some greens. 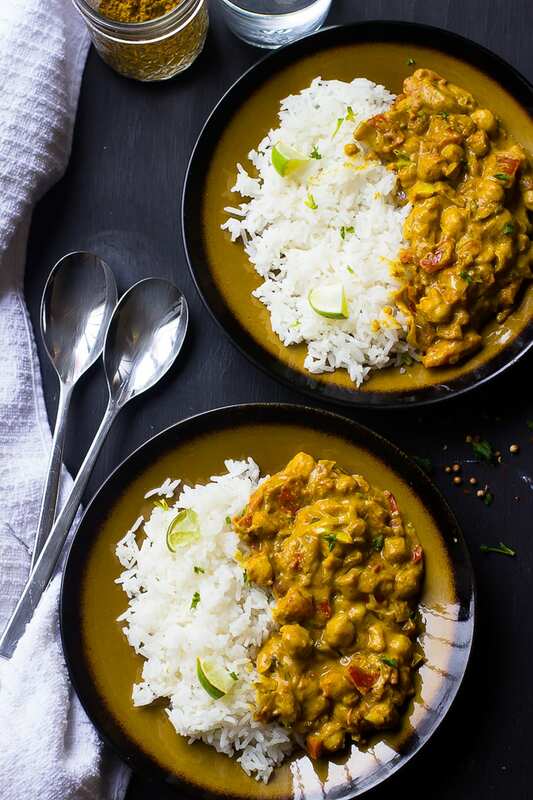 This easy, satisfying curry takes just 45 minutes to make, including simmering/Netflix watching time. Simply sauté the veggies, add the fragrant spices, tomatoes, coconut milk and chickpeas, and simmer until all the flavours have developed. 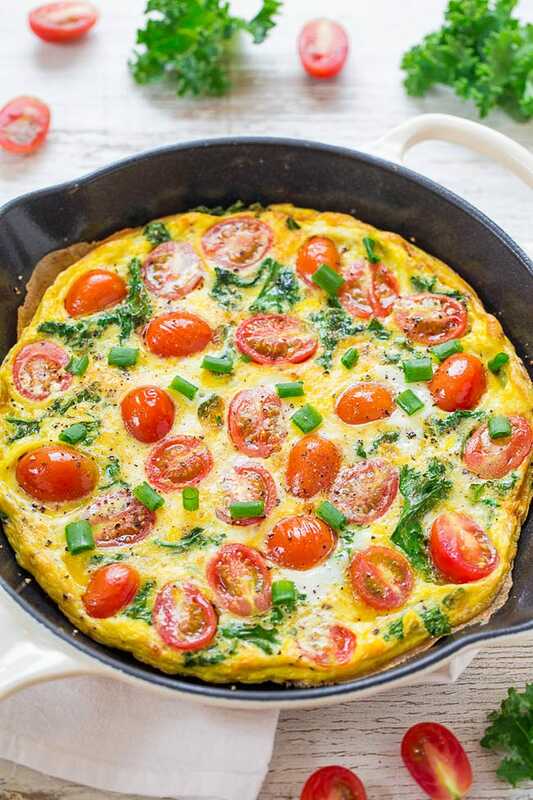 For a low carb lunch option, try this extremely easy kale and tomato frittata, which is ready in just 10 minutes. Don't have kale? You can mix and match the ingredients based on what's in the fridge. Serve with a side salad and you're set.